Random post of sweetness, ahoy! Hey guys! Among this battlefield of auction-running and sales post managing and OOH OOH LOOK SHINY THINGS!, there is one thing on many of our minds....prison sentences le school. That place where, for a good chunk of a year, you gotta make the best of boring classes, bullies, annoying people, and best friend mischief times. Where are you going with this, Suicune? 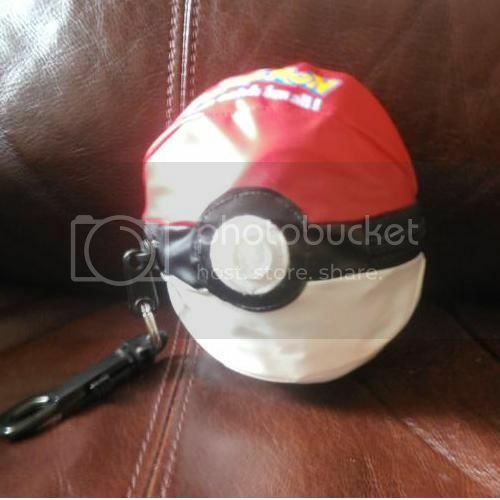 How are you going to show off your Poke-loves this year? Without further ado, I present Card News! 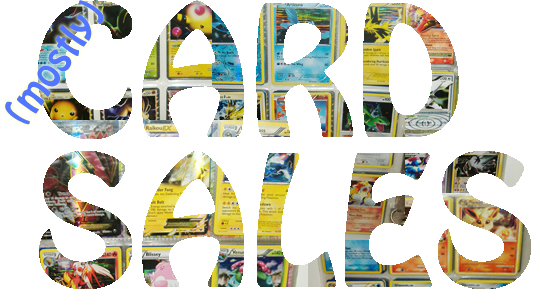 - I can include card shop links in the bottom of every new issue, of course not banners, just text links..
How's everybody doing?! So I'm back in the US again after another 4 months in Japan on study abroad and I brought back a TON of stuff to sell and auction! So, I've managed to aquire a ton of things since I've joined here! I'd like to share them with you. Here is the first picture of my memo board collections of charms and flats that I posted, back in June ish I believe. I Made A Pokemon Collection Video Of My Bedroom! Today I bring you some quick pan sticker sales. The first four gens are featured (sorry, no 5th gen, but I'll have some soon since I needed Tirtouga myself). Stickers may be combined with items from my regular sales (warning: lots of pictures). If you recently made an order, I might be able to combine but keep in mind that all but a few packages have been shipped. Can be boxed or used, as long as its not too scuffed or scratched. Hey guys, saw this guy for the first time last night. 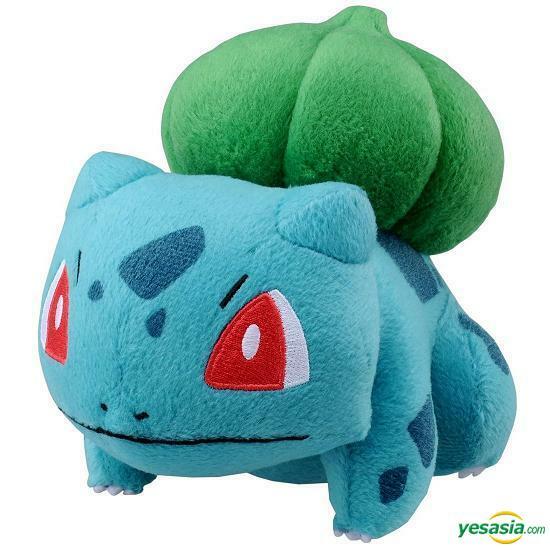 I was wondering if anyone could get me a size reference on him? I'm opening up a few slots for custom coasters, in the style of the Walky Pokemon promotion. They're not hard like the actual promotion coasters (I assume?) but quite soft; fabric with a rubber backing. (Found out the official coasters are just paper). First of all I am so excited to do pickups for the new fall lineup!!! ;u; It looks so good!!!! 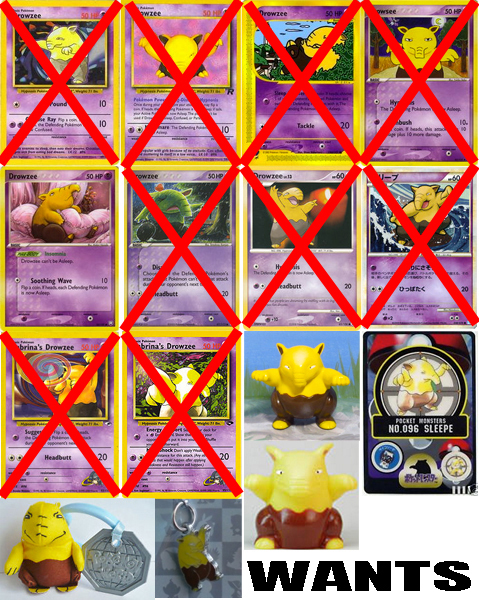 Otherwise, Please send 116$ total to denkimouse (at) gmail.com with your LJ name and "snorlax" as the SUBJECT. I also still require AEON badge payments from the follow members. Payment info is here! 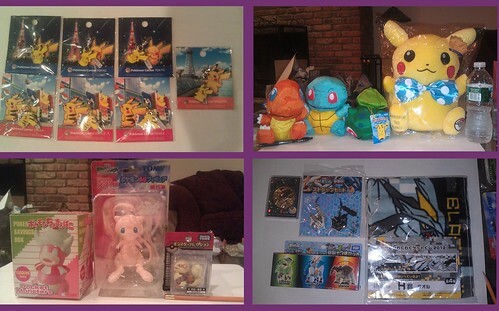 aside from cards, the figure-ish things i'm looking for are the BK plush, tomy, charm, kid and the zukan figure, also! WANTS!!! Combeeeee and LUGIA CARDS!! So first time Combee collector. 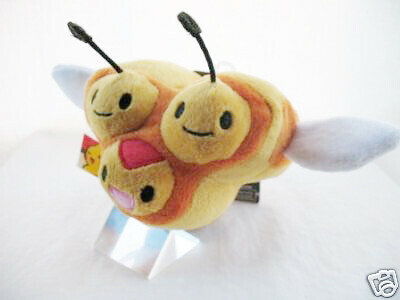 All I have of combee is the Jakks plush. Is there anyone out there with ANY combee that is willing to sell?!! Mr. Amazon.com says that my copy of Pokémon Conquest will arrive in two days, I'm not quite sure but let's hope it does! Finding this game here was a real pain and I got outbidded in an auction ended for 50$, only to find it for 34$ with shipping included. Awesome. 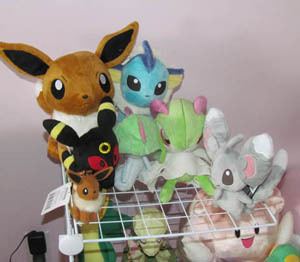 Anyone who has a clue about where to pick them/has them for sell/knows other Eevee and Eeveelutions binder? If that's the case, feel free to leave a comment! I'll reply as fast as I can. Calling out a few more people. Reminder: There are only 18 hours left on the Little Bit O' Everything GA, I will be posting the big and only reminder post tomorrow when there are a couple hours left. Hopefully we can get this one too! =] Link below. Does anyone have a Maractus pan sticker for sale? I didn't know it existed until just now, and its the last thing I need for my Maractus collection to be up-to-date ;w; Thank you! Haha annnyways...I stopped at my favorite comic store over in Berkley, MI today, and I found something strange in amongst the talking Pokemon figures behind the glass case. But there's some mystery to this. This is a multipurpose post if I've ever seen one, oh well. 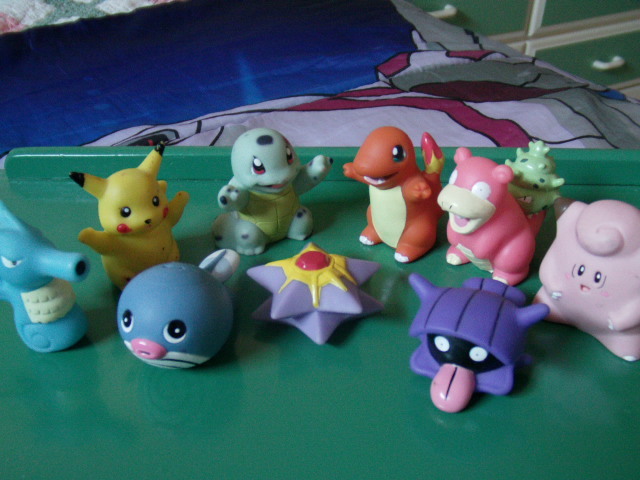 Also, I had a question for all ya collectors, why do you collect the Pokemon you do? Do you just like it? Nostalgia? From a team? Character based? I'm really curious! 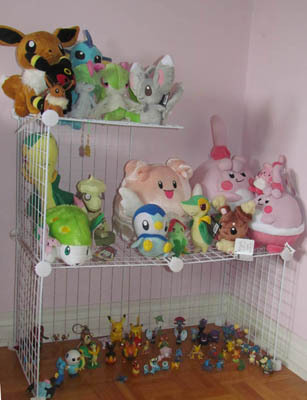 Almost all of my collections are based from gijinka characters of mine or my Friend's, with the exception of Bonsly, that was a spur of the moment thing. J Franco & Sons auctions! Hey everyone my auctions are ending tonight at midnight GMT! Some items still have no bids on them! 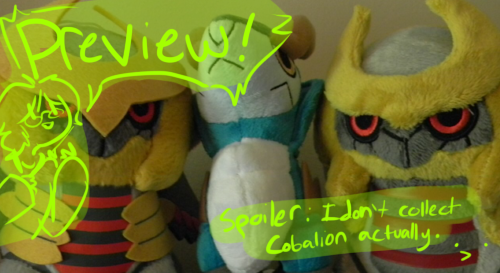 A few weeks or so ago there was a sales post that included a Cobalion lot. 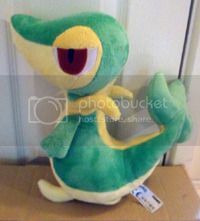 I've gotten bitten with the Coby bug, and I would like to buy several of my wants from a single seller, so I'd like to take a look at it if it's still available. If you are the owner of this lot or if you know the location of the sales post, please let me know. Hi, I'm Lindsey, or Lindz, whatever is fine. I joined the community 1.5-2 years ago and just this summer I've gotten back to collecting since I had to take a break during school because of my lack of a job there. I wasn't exactly willing to sacrifice my food money for Poke merch, haha. So my question for all you guys is how many of you collect MIP versions of the Pokemon video games? I've decided to start collecting mint in plastic video games and various editions of different consoles such as the yellow Pikachu version of the Gameboy Color and the Pikachu N64. Today two of the first pieces of new collection arrived: Pokemon Mystery Dungeon Red and Pokemon Puzzle League for N64. Both of the prices combined equaled less than $50, which worries me a bit. Especially for Puzzle League. I was suspicious of it when I first saw the listing, but I figured why not? The worst I thought would happen is that the game would arrive and the box wouldn't have actually been sealed and I would've been okay with that with such a reasonable price! Having one out of box to display would've been pretty cool. But, I was expecting an N64 game to go for much more, especially a Pokemon one MIP. So I BIN'd and it was shipped the next day and as I said it arrived today. It came in the same clear plastic box/container pictured and I could see that it was, in fact, MIP except for one little opening on the back of the box where there was a tiny tear in the plastic. Nothing big, so I don't really care, but would that really warrant such a price drop? From what I saw other N64 games were priced for AT LEAST $200, most of them more and when I checked the seller's other listings he had other games for older consoles for sale as well, all of them having more believable prices for MIP games. So another question for fellow video game collectors: I would like to know what you make of this situation? Am I just over thinking this or could I possibly have a re-sealed box on my hands? Obviously I'm not willing to check, haha, but I don't even know if that's a thing that happens or what. Also, I don't know if this is worth noting, but there was also a 2 in red marker next to the tear in the plastic. I don't know if it means anything or not, but I'm kind of shrugging it off for now, it's the least of my worries, haha. Anyways, I'm going to do a proper re-introduction post in maybe two weeks! 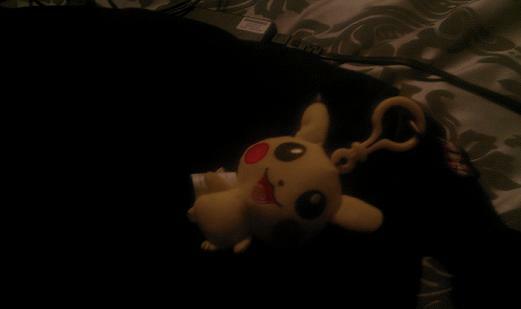 I'm going to be moving back to school next week, so most of my Poke merch is safely packed away right now. Another post for another day =) But I am really interested to see what other video game collectors have to say! Maybe tips on what to look for price wise concerning MIP games? I'm assuming most would go for at least $100, but I could be wrong. I've returned from yet another convention, so that means it's kid auction time again! 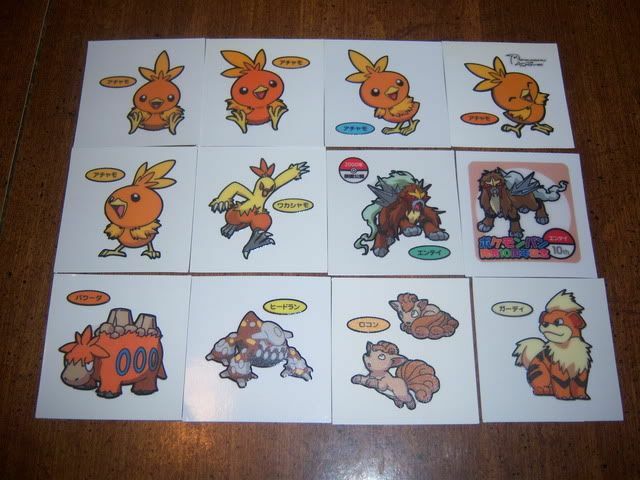 As usual, all kids will start at $2 (except the Growlithe and Oshawott). The auction will end next Saturday, August 18th, at 10pm EST.I'm shipping from the US. More pictures below the cut!